This is our last entry in our series “Spring Texas Neighborhoods”. Our last entry for 2008 that is. We hope you have been enjoying the series. We will be continuing the series into next year starting with the master planned community of Gleannloch Farms. So stay tuned. And as always if you have questions about any Spring Texas Neighborhood, give us a call at 281.300.3141 or 281.804.8626 and we will be happy to answer them. 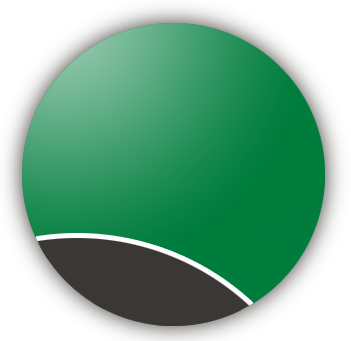 Just a reminder, the full profile (not just the snapshot which is what you see here) with numerous photos of the Neighborhood are located in the Spring Texas Neighborhoods section of our blogsite available for you to view at any time. This week, we are shining the spotlight on Terranova West and uncovering why its residents love to call Terranova West “Home”. Located in Spring Texas between Louetta and Cypresswood on the edge of the Cypress Creek Cultural District sits the established, wooded subdivision of Terranova West. The subdivision is comprised of over 620 homes with numerous architectural styles including Traditional, Tudor, Colonial, and charming Victorians with long inviting porches. 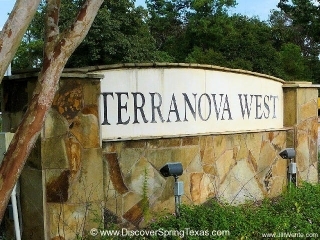 The homes in Terranova West were constructed in the early 1980s and built on generous lot sizes averaging 9,000 square feet. The homes range in price from $145,000 to $250,000 with square footage ranging from 2,000 to 3,600. The children attend schools in the sought after Klein School District with the elementary earning the coveted Exemplary rating and the intermediate school holding a Recognized rating. Terranova West residents enjoy the private use of a 8.5 acre sports park with amenities including tennis courts, clubhouse, pool, basketball court, playground, picnic tables, BBQ pits, soccer field, sand volleyball, t-ball diamond, horseshoe pit, and walking / jogging trails with exercise stations. Affordable homes, good schools, convenient location, and extensive subdivision amenities all come together at Terranova West and are the reasons why its residents love to call Terranova West “Home”. View the complete profile of the Terranova West subdivision, additional photos and its homes for sale.